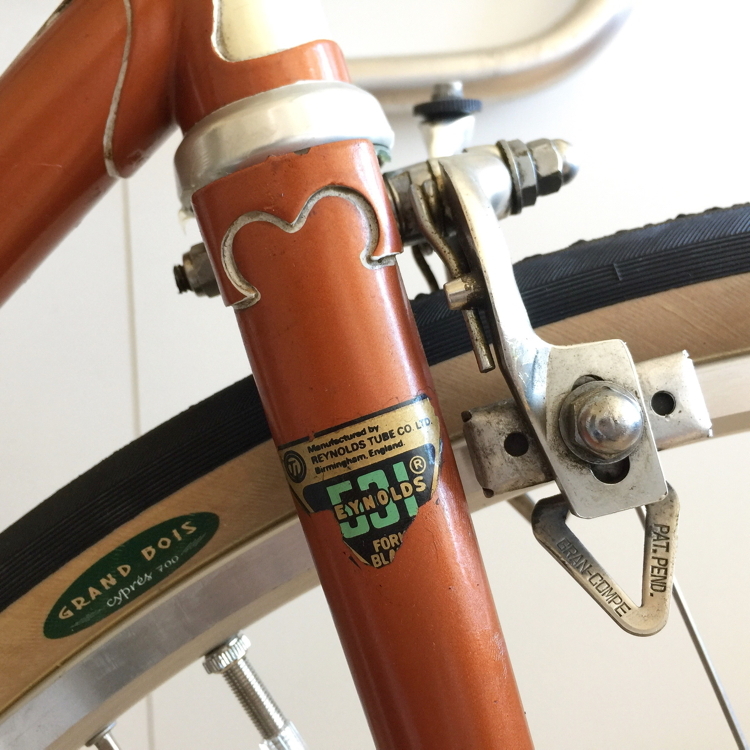 Frame: Gazelle Champion Mondial, AB-frame. Reynolds 531 in both frame and fork. Handlebar: Nitto Grand Bois 42cm. Handlebar tape: Newbaum’s cotton tape. Headset: Miche 1″ threaded, needle bearing. Saddle: Concor S. Marco, Supercorsa. Brake levers: Shimano Dura Ace. Front hub: Campagnolo Record high flange, 32h. Rear hub: Campagnolo Record high flange, 32h, italian threads 35 mm X 24 tpi. Freewheel: Regina Corsa 5-speed, Italian threads.